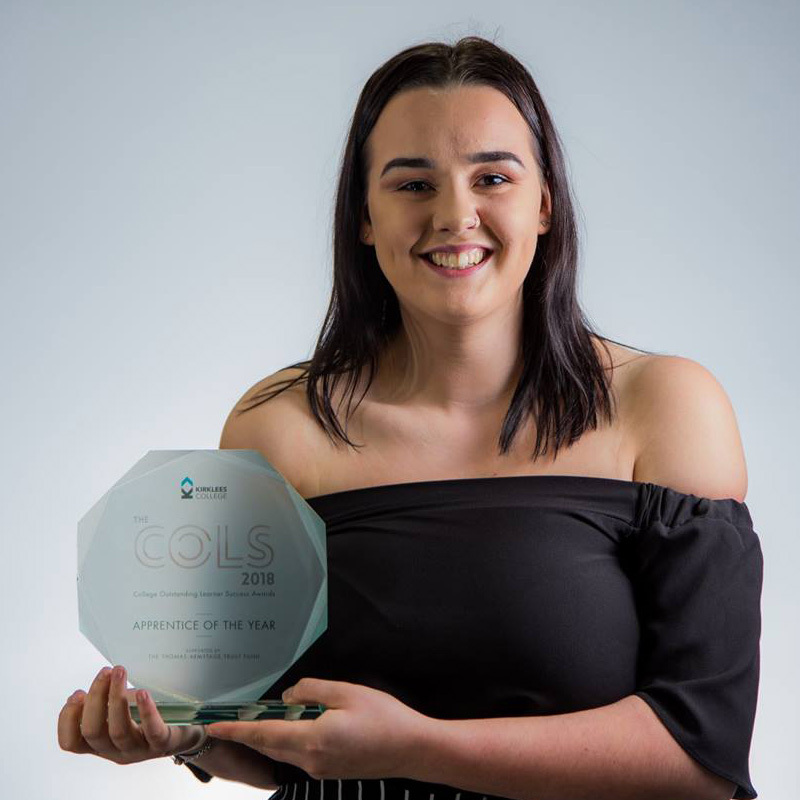 Kirklees College COLS Awards celebrate and recognise Outstanding Learner Success and not only did Shauna Moss win an award in her science studies, she was also recognised as the overall Kirklees College Apprentice of the Year, 2018. Her passion and desire to succeed continued in her Apprenticeship studies at Kirklees College as she attained Double Distinction Star in her BTEC studies - the highest grade you can get. She said, “The ‘Me’ leaving school and the ‘Me’ leaving college were two very different people. 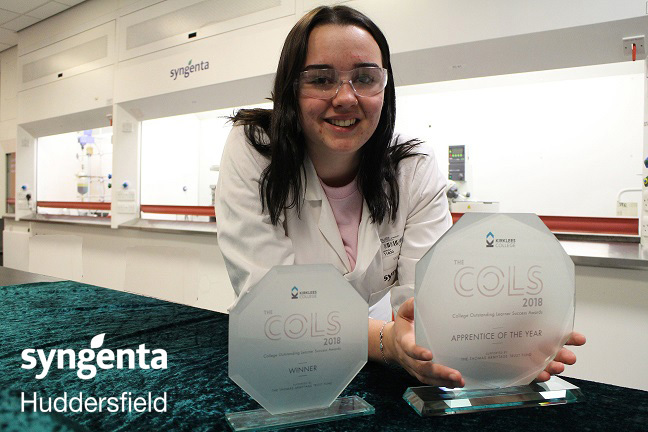 Going to Greenhead College before my apprenticeship with Syngenta was the right path for me. I think I would have found it difficult to do a Science Apprenticeship straight from GCSE level." Shauna then went on to tell us about the people she works with, “I’ve been quite lucky with the people I work with, I really feel that I have their support in my learning. It might have been different if I hadn’t have had that because the apprenticeship I have is quite isolated from the other apprentices on site who study engineering and process manufacturing. Syngenta help you by giving you the support you need and by giving you time and resources to help with your course work. You appreciate that and grow up quite quickly”. And advice to other people considering an apprenticeship? Shauna said; “Make time to look at all of your options for your future career and you don’t have to make your mind up too soon. An apprenticeship is rewarding and might just be the right choice”.